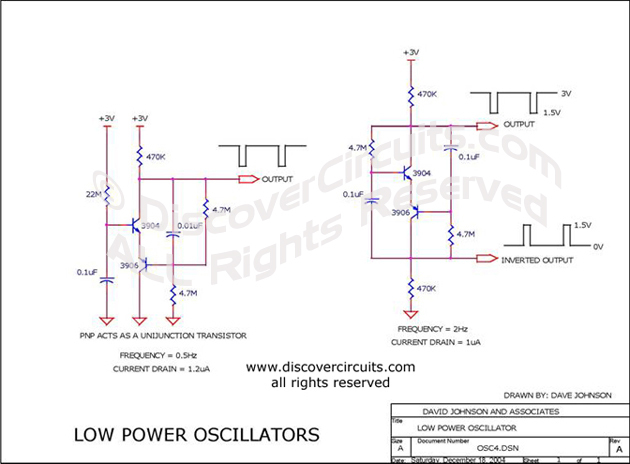 Circuit: Low Power Oscillators__ Circuit s designed by David A. Johnson, P.E. This page has two unusual two-transistor oscillators. I set the component values for a low frequency application. Both circuits draw only about 1 microamp of current.